Single location in the municipality Graach (area Bernkastel) in the German growing area Moselle, It was mentioned in documents in the 10th century. The name derives from the lying just outside and northwest of Graach single farm settlement Josephshof, which was a former monastery property. For almost a millennium, the estate of the Abbey of St. Martin in Trier belonged to it, which is why it is still called "Merteshof" today. In the course of secularization under Emperor Napoleon (1769-1821) in 1803 Matthias Joseph Hain from Trier bought the estate for 247 gulden and gave it the present name. His son-in-law Mohr sold the estate by 58,000 Taler to the count of Kesselstatt. 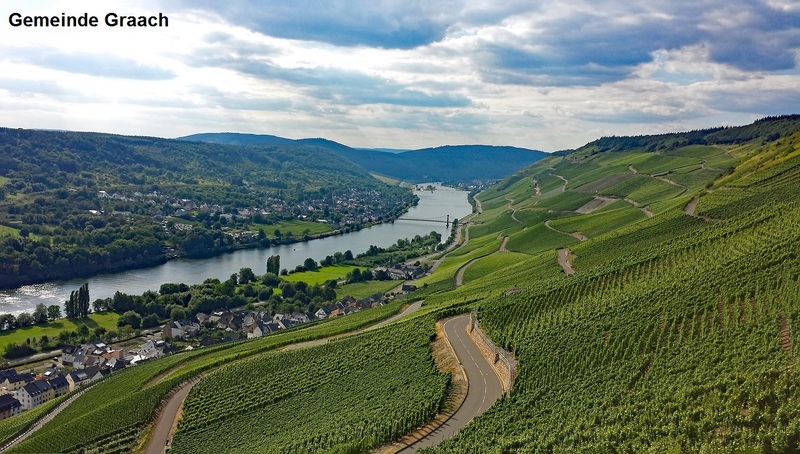 The location has since been in the monopoly ownership of today's winery Imperial Count von Kesselstatt, In this vineyard also allegedly for the first time on the Mosel originating from Hungary process for the production of a outbreak be successful. The south-facing vineyard at 120 to 170 meters above sea level with 50 to 70% slope covers 5.7 hectares of vines on deep, rocky Devonian slate weathered soil with a high proportion of fine soil. He lies between the Wehlener sundial and the graacher Domprobst, Here only the Riesling is cultivated. The wine is marketed as "Josephshöfer" (without location indication Graach), which documents the special status. Community Graach with its individual layers Abtsberg, Domprobst. Heaven and Josephshöfer. This page was last modified at 20 April 2017 at 14:10.